Maud and Dracula. A possible romance...... (Thought these two would be good together. To add Disney to it, there is a hidden Mickey. Not hidden real well.). 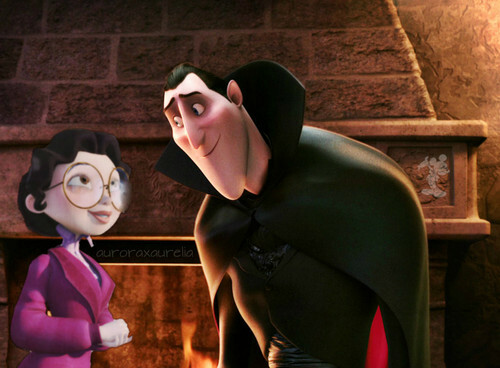 HD Wallpaper and background images in the Disney-Überkreuz club tagged: photo disney crossover non disney sony pictures animation dracula hotel transylvania a monster in paris maud hidden mickey. This Disney-Überkreuz photo contains filzhut, homburg, stetson, trilby, fedora, and stetson trilby. There might also be haube, boater, leghorn, panama, panamahut, seemann, skimmer, hut stroh, bootsfahrer, bein, strohhut, livorno, panama-hut, and wimple.